On Wednesday evening I picked everyone up early from childcare, the big two got quickly changed in the car and we hopped a tram into town, eating butties on the way! There’s nothing like the excitement of a cheeky after school adventure! Of course they didn’t know where they were going – they never do. 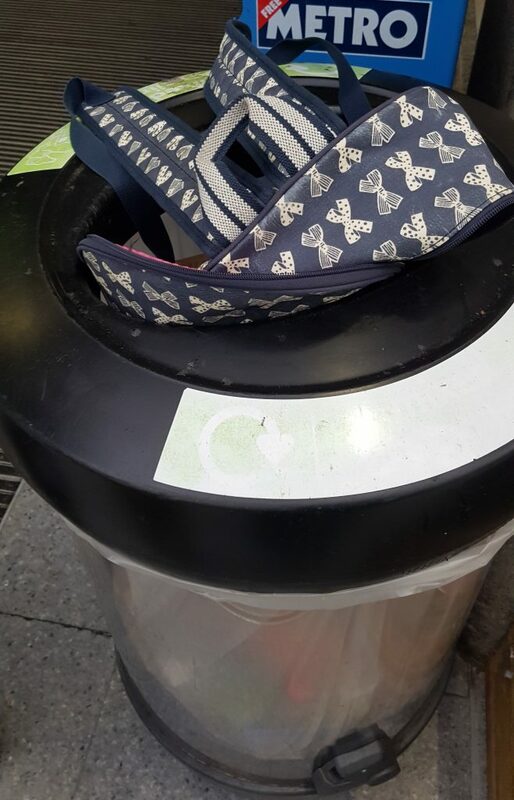 We got off the tram at Manchester Victoria ready to climb the stairs to Manchester Arena only to be met with notices stating that backpacks were not to be allowed in the venue. Of course it makes perfect sense, I understand why they’ve instigated that ruling. Unfortunately I just didn’t know anything about it beforehand. It wasn’t like there was even really anything in my backpack – just a camera and a few snacks – I tend to carry it out of habit, especially if I’m out with the three of them on my own. I like to keep my hands free! So I’m left standing there on my own, with three kids having to make the decision between chucking my bag away or taking them home again and missing out on the show . . . at this point I was extremely glad that they still didn’t know what we were actually going to see. It took me a minute or two to get my head straight and to come up with a plan – having three little ones rabbiting on at you isn’t conducive to thinking properly! I decided I would try and get a smaller bag to decant my things into and dump my rucksack. I’d had it a couple of years and it was on it’s way out – I’d been looking for a replacement for a little while. I decided that the value of my old bag versus the value of the tickets and experience meant the bag would have to go. A quick trip to the M&S Simply Food in the train station for a carrier bag to decant my bag into and we were all set. By the time we’d got over this debacle and made our way round to the box office, we’d basically missed the VIP Meet & Greet so we didn’t get to see Mickey or any of the other characters this time. I don’t think the kids were all that bothered though, they were just glad to be there and to see “The Gingers“. 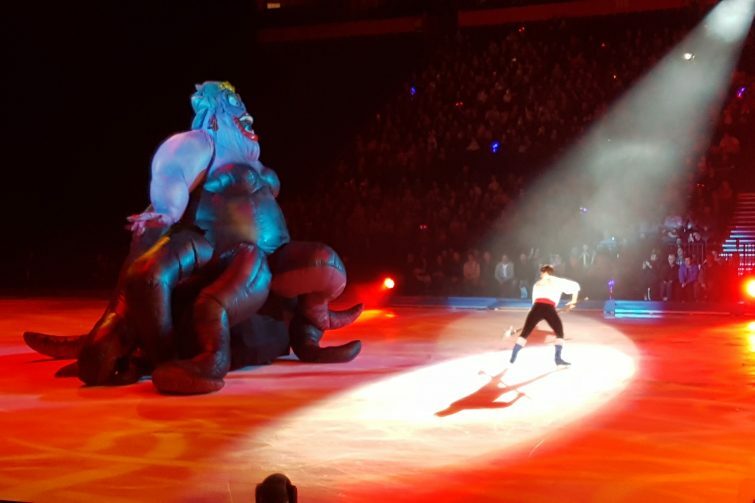 We soon realised when the show started that the Passport to Adventure show is extremely similar to the Disney on Ice Silver Anniversary Celebration we had seen in Liverpool some 18 months ago. It featured the same characters in the same order – and whilst still impressive, probably lacked the wow factor for us as we were left feeling that we’d seen it all before. 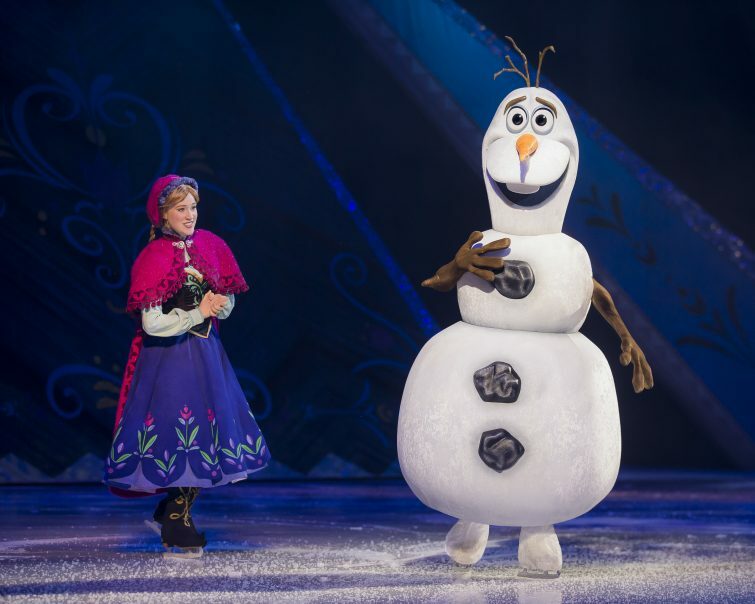 Highlights for us included the wonderful national costumes during It’s A Small World, the impressive use of flight for Peter Pan & Tinkerbell, and the enormous inflatable Ursula who held a commanding presence on the ice! 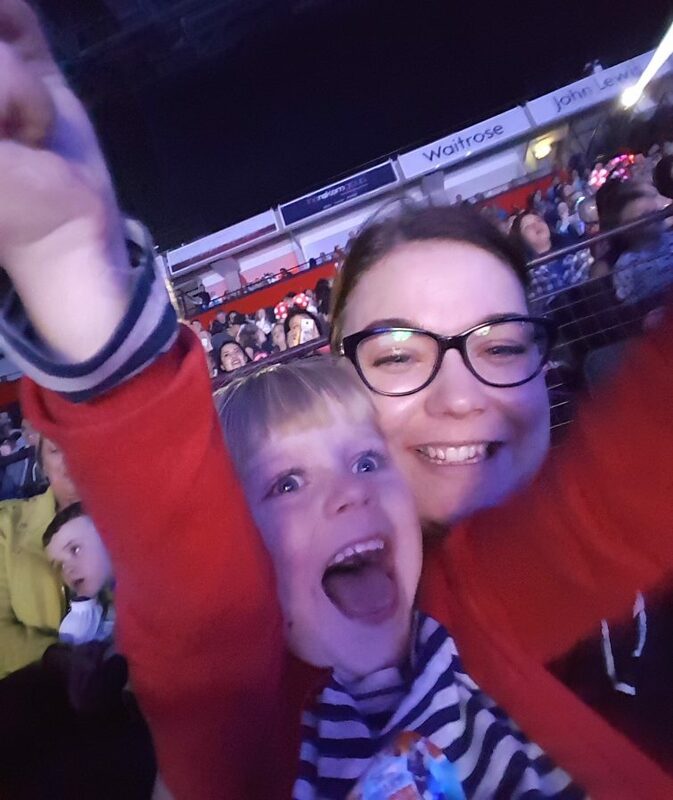 Of course the cherry on the cake was the Frozen performance at the end – Amy was beyond excited when Anna skated into view but almost burst when Olaf bumbled onto the ice!! The clever use of special effects to make it “snow” added magic to the performance. 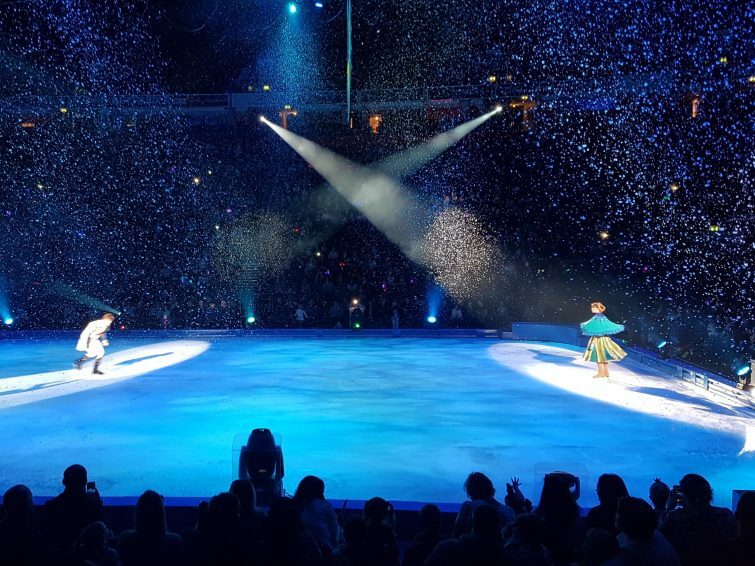 Disney On Ice presents Passport to Adventure runs until Sunday 15th October in Manchester and TICKETS ARE STILL AVAILABLE. Prices start around £31 per person including the booking fee and Venue Restoration Levy. Looking forward to the new year, tickets are now available for Disney on Ice Worlds of Enchantment hitting Liverpool Echo Arena on 11th April 2018. 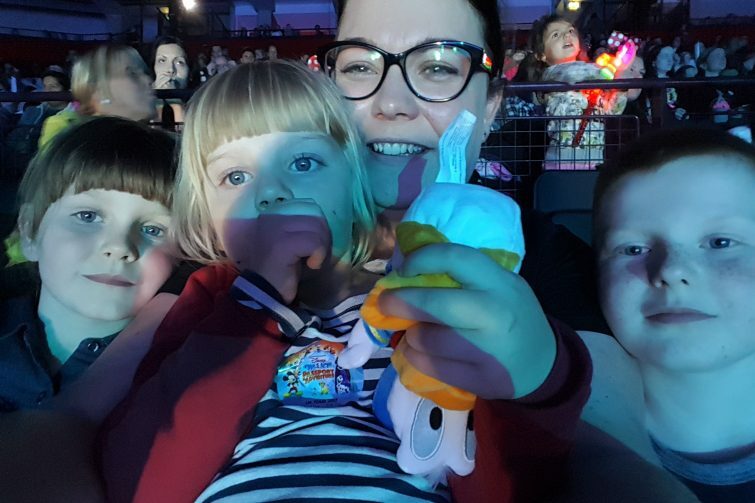 Check out what The Brick Castle and Red Rose Mummy thought of Disney on Ice presents Passport to Adventure too! You’d think they would have promoted the no rucksack ruling better, pleased you’d managed to find a workaround solution. The show looks amazing, it’s on our bucket list to do once Piglet is a little older. I did notice posts on twitter and facebook afterwards but the message certainly hadn’t reached me unfortunately!